When are skills actually skills? I realize that this is a weird question but let me explain. 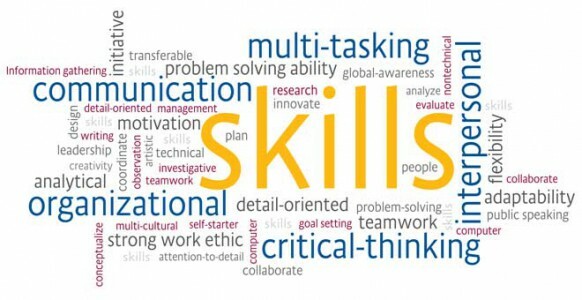 The skills I’m talking about are the skills people say they have on LinkedIn. I have a couple of skills listed on there and got endorsed by some people for those skills. Stuff like English (judging by this article that is a skill I really have) and AutoCAD, which I have been using for the past 15 years or so and Revit which I have been using the past 4 years. I also have PhotoShop and Illustrator on there, which I hesitated to do as I do know the basics, but in no way am I an expert in either of those programs, but I know enough to do the stuff I need to do with them. Because LinkedIn does not let you put a ‘grade’ on your skills I figured it was good enough to list it. Then there are skills I have a little bit of, for example SketchUp. Sure I know how to run it and I can make a simple model with it, but as I have never done any more work with it then maybe 30 minutes I do not consider that a skill. That brings me to the one that bugs me to see as skill listed on some people, which is BIM (Building Information Modeling). This is a bit of a fashion word the last couple of years and you see it pop-up as skill on a lot of peoples profile, some of which I am pretty sure of have never done any BIM project. They might have done a project in Revit of ArchiCAD, but that does not qualify you to say you know BIM if you ask me. This is the reason I do not have BIM listed as a skill I have. I did projects in Revit over the years and I did a project that was BIM-ish, but it was nowhere near a full blown BIM project and when I was put on a BIM project right now there is a pretty big change I would make a fool out of myself if there was nobody around to help me out. So that brings me back to the question I started with, When are skills actually skills? When do you list a skill you have (of think you have) as a skill on LinkedIn?